By default, to connect to a remote computer using PowerShell (PowerShell Remoting) you need the administrator privileges. 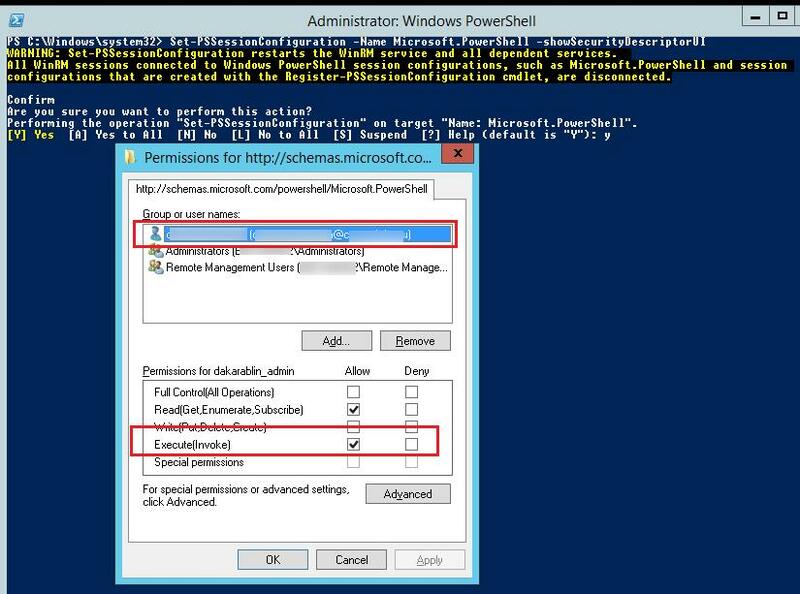 In this article we’ll show how to allow remote connection using PowerShell Remoting (WinRM) for common users (without the administrator privileges) with the help of a security group, a Group Policy and modification of PoSh session descriptor. Enter-PSSession : Connecting to remote server lon-srv1 failed with the following error message : Access is denied. If you need to provide such permissions on multiple computers, you can use Group Policy. 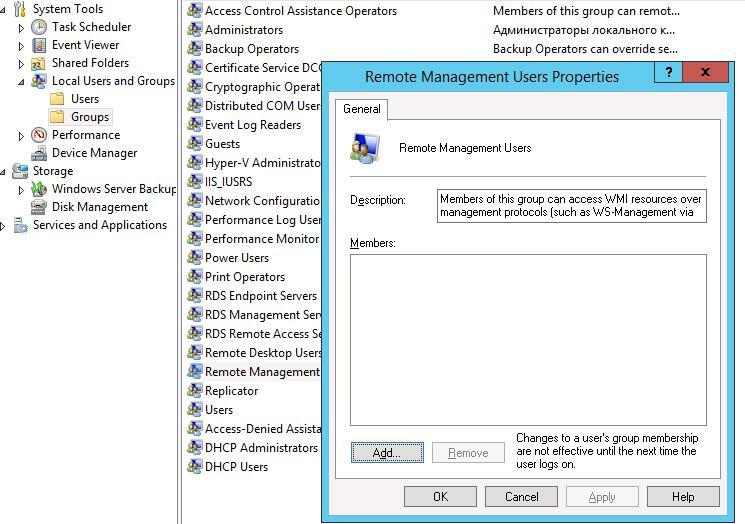 To do this, assign the GPO to the computers you need, and add the new Remote Management Users group to the Computer Configuration -> Windows Settings -> Security Settings -> Restricted Groups policy. Add to the policy users or groups that need to be granted access to WinRM. 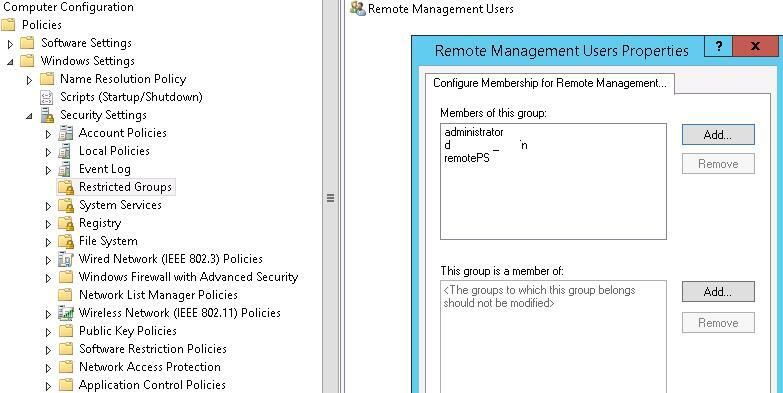 After a user becomes a member of Remote Management Users group, he can create a remote PowerShell session using Enter-PSSession or run commands using Invoke-Command. User privileges in this session will be limited to user rights on this machine. Make sure if the remote connection is established. Another way to quickly give a user permission to use PowerShell Remoting without including him to the local security group Remote Management Users is to modify the security descriptor of the current Microsoft.PowerShell session on the local computer. This method will allow to quickly grant temporary (till the next restart) remote connection rights to a user via PowerShell. In this dialog window, add a user or group and grant them Execute (Invoke) permissions. After you save the changes, the system will prompt for confirmation and restart of WinRM service. If you have to automatically modify the security descriptor (without GUI), you will need to make changes manually first and then to get the current access descriptor in SDDL format. Then you can use this SDDL string to grant access to PowerShell on any other server or workstation. 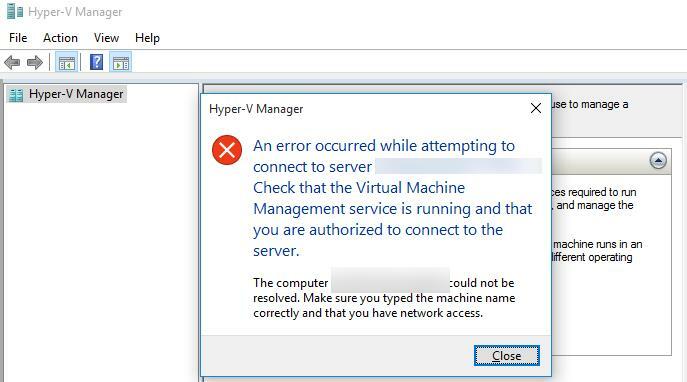 In Windows 10 /Windows Server 2016 to connect to a Hyper-V server remotely using Hyper-V Manager, PowerShell Remoting began to be used. 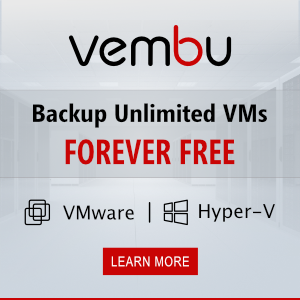 Thus, by default remote users without the administrator privileges won’t be able to manage Hyper-V server, even if they have the corresponding permissions in Hyper-V.
To allow a remote connection to the console, it’s enough to add a Hyper-V user to the local group Remote Management Users in the same way.